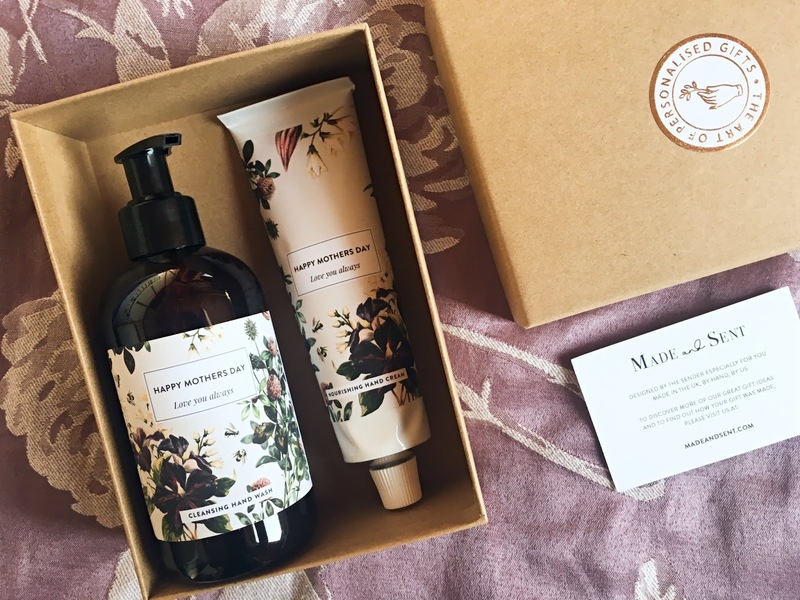 On my 18th birthday, my best friend Hannah bought me a box full of gifts and told me she wanted me to use the gift box as a memory box so I could collect little things from special days to look back on. It's such a lovely idea and I've collected so many things over the years (I'm now 24) that I've actually had to start a second box! 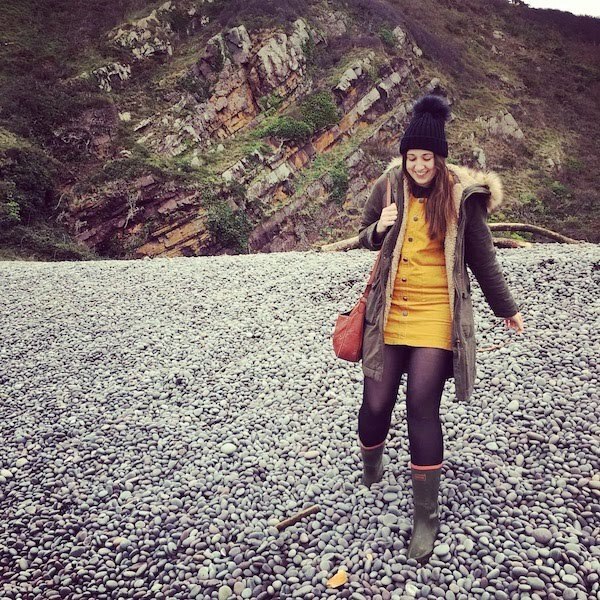 Here I've shared a few items in my memory box, so you can get an idea of the things to collect if you want to make your own box (or one for your children). I love how in ten, twenty, thirty years' time I will be able to look back at this box and remember all the things that happened in my late teens and early twenties. Something I love to collect is tickets from special days out and events. 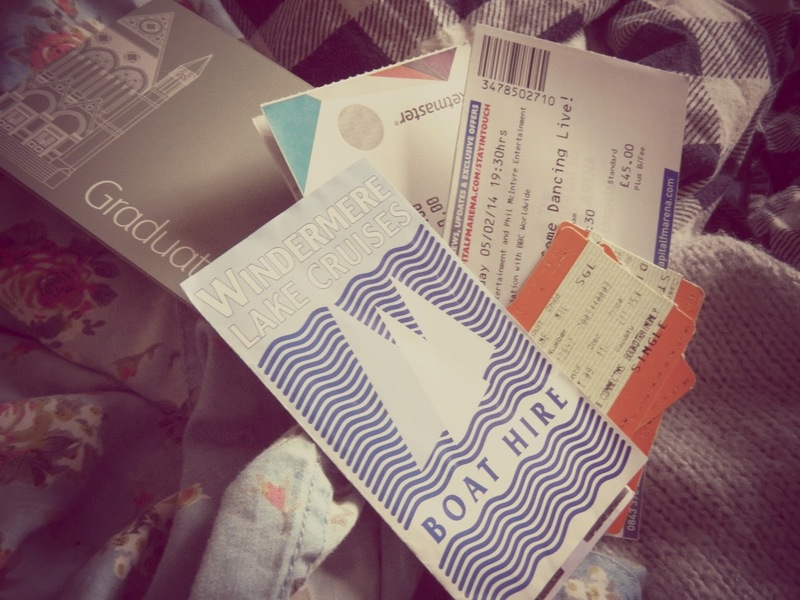 Whether it's a trip I've taken with my boyfriend James, an event I've been to with my best friends or a show I've been to with my mum, I'll keep the tickets safe in my memory box. 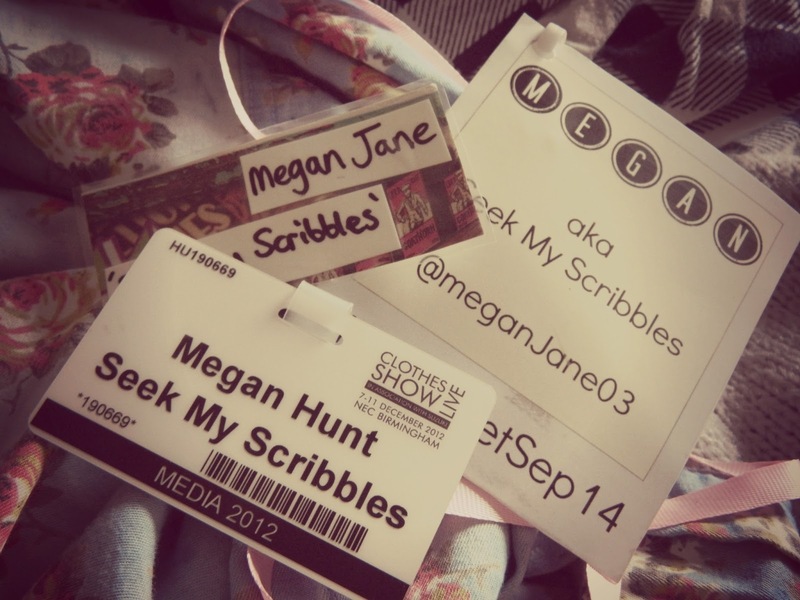 I also like to collect little keepsakes from the blogger and press events I've been to, usually in the form of blogger name badges! 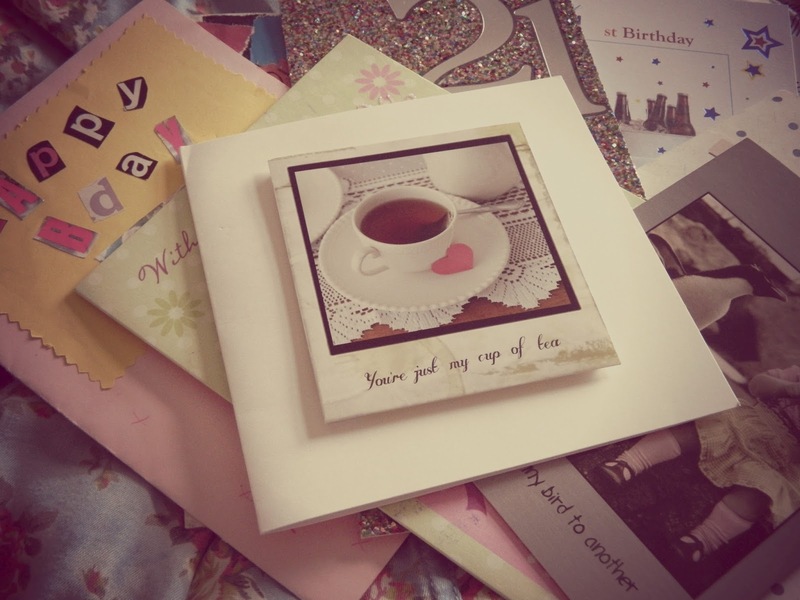 I'm a real hoarder when it comes to special cards - they're just so beautiful and always contain such lovely messages that I like to re-read from time to time. 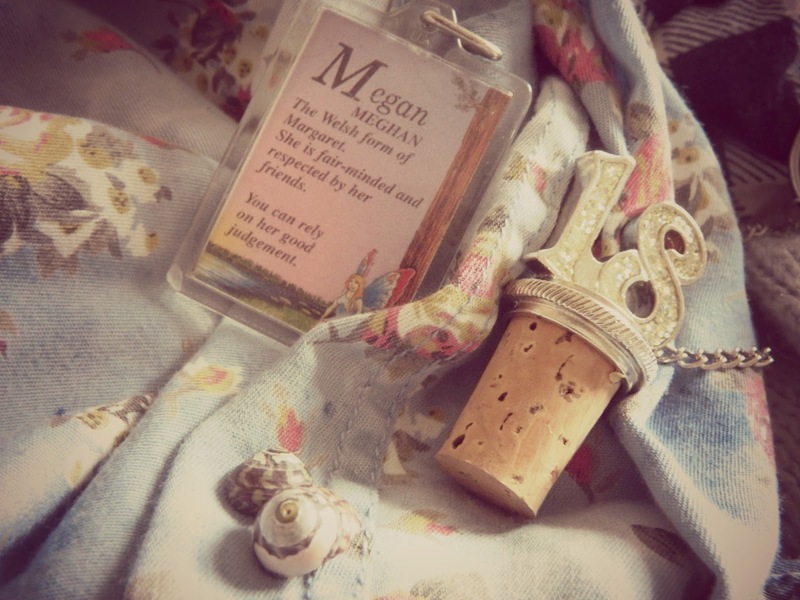 In my memory box you'll also find a collection of little items I've collected over the years, including a cork from the champagne we drank on my 18th birthday, a keyring from my Grandma and little shells from the beach in Devon. I love that every little thing in my memory box has it's own story. It means so much to me, so thank you to Hannah for inspiring me to start one all those years ago! 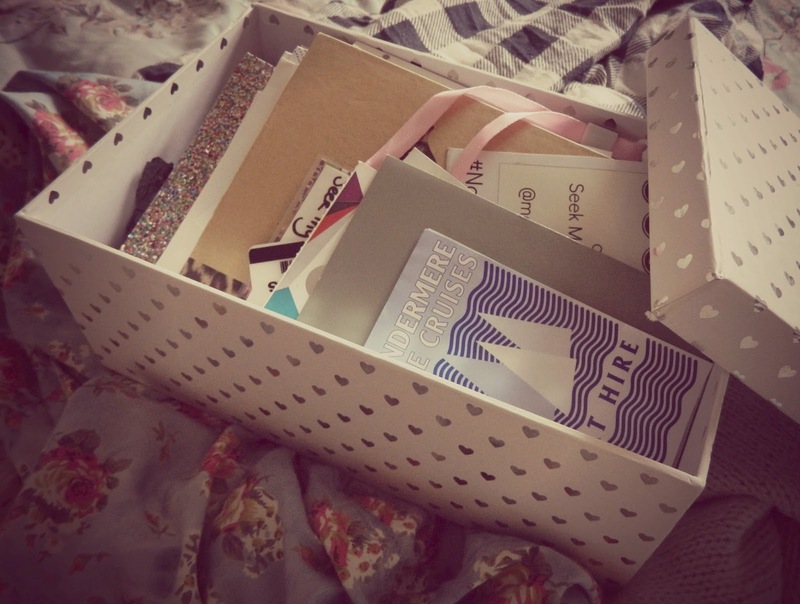 If you have a memory box (or are inspired to start one) and decide to do a little blog post about it, I'd love it if you came back to share it here below. I love this! It's such a lovely idea. I have one of these for my son and I wish I'd had one for myself! I love this post! I have two memory bags at the moment - but I think I'm going to start a new one in the new year and decorate an old shoe box or something! I have a memory box that I've been adding to for years - I put in things like concert tickets, letters, badges, souvenirs..just about anything that means something to me that I'd like to keep! This is such a cute idea. I sort of have a similar thing. At one point I had a scrapbook on the go but I gave it up when it sort of fell behind.